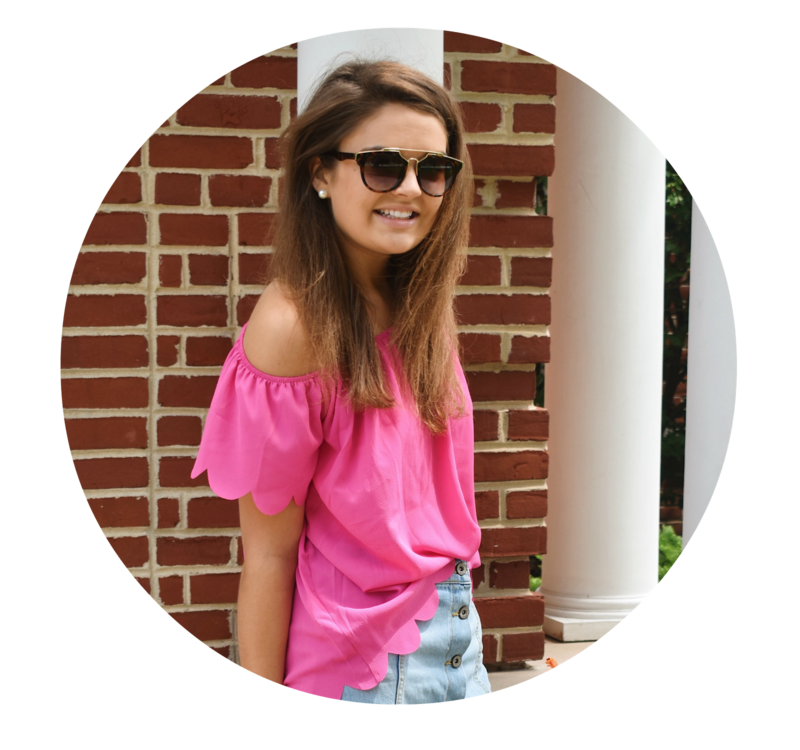 What better way to start the holiday week than with my first official gift guide?! While technically I shared a pajama guide a few days ago, I like to think of today's post as my very first roundup of gifts for the 2017 holiday season. With Thanksgiving later this week, it's time to start thinking about some fun little goodies to scoop up for your friends, family or even as a little treat for yourself. 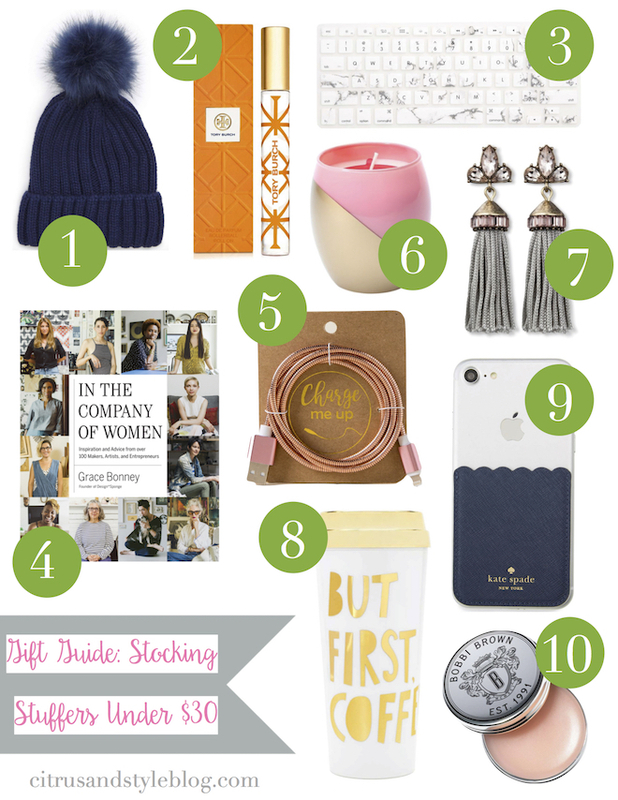 Today I'm sharing ten gifts I love under $30 - I think it's safe to say there's something for everyone! I love everything! The pom pom hat is so cute. I wish Atlanta got cold enough to rock it. I've been wanting to read In The Company of Women for so long. Is it as amazing as everyone says it is? The Tory Burch perfume is my fav- definitely would be a good stocking stuffer! I think everyone could use a new charging cord & I love the packaging on that one!